Prior to your cataract surgery, our doctors will determine what type and power of replacement Intraocular Lens (IOL) to implant in your eye. This choice is based on preoperative measurements of your eye and your vision goals. However, the surgical process can alter these measurements slightly, making it difficult to pinpoint the exact power necessary to produce the very best vision results…until now. At Mosaddegh Eye Institute we incorporate Optiwave Refractive Analysis (ORA) technology to provide real-time intraoperative measurements of your refractive error after the cloudy lens is removed – during surgery – so we can adjust the IOL power if necessary. 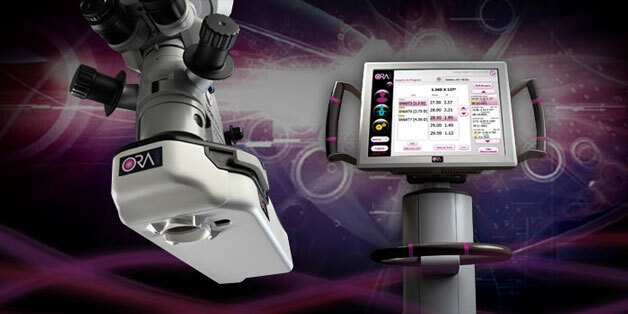 The ORA system takes a Wavefront analysis of the eye after the cataract has been removed to calculate the proper IOL. To find out if cataract surgery with ORA in San Francisco is right for you, contact us today to schedule a cataract consultation.